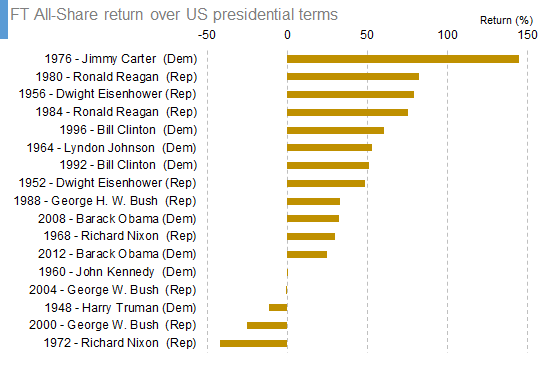 The chart below shows the performance of the UK market (FT All-Share index) over the periods the respective US presidents were in office. From the point of view of the UK market the best president was Jimmy Carter – the market rose 145% during his 4 years as president. The worst spell was the second term Richard Nixon when the market fell 42%. 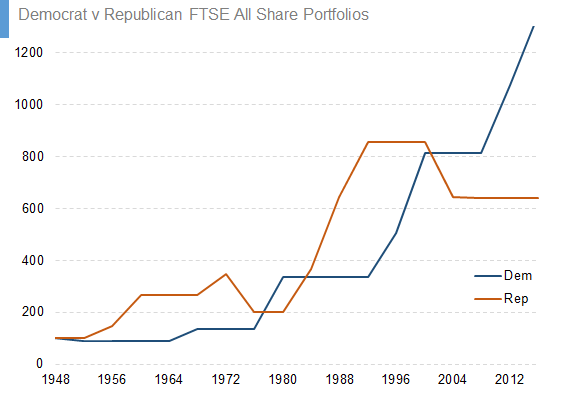 Democrat portfolio: only invests in the UK stock market when there is a Democrat in the White House, and is in cash when the president is a Republican. Republican portfolio: reverse of the above. The two portfolios have largely tracked each other closely until the 2008 election of Barack Obama. 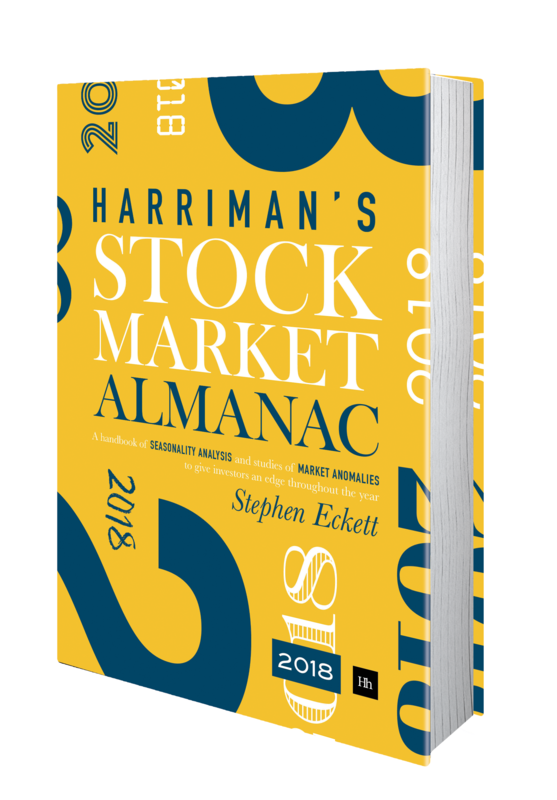 From this period, the Democrat portfolio performed strongly, such that by 2016 this portfolio had a value of 1344 compared with a value of 639 for the Republican portfolio. See also: other articles on politics and markets. This entry was posted in International, Long term, Market, News and tagged election, pol, US election by Almanacist. Bookmark the permalink.